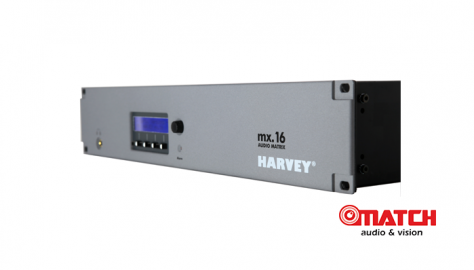 HARVEY mx.16 is a flexible audio and media control matrix and a key component for pa systems and conference systems. It is equipped with 16 analog audio inputs and outputs as well as a great number of different control interfaces and the ideal matrix for conference rooms, theatres, museums, home cinemas, educational facilities and multipurpose rooms. 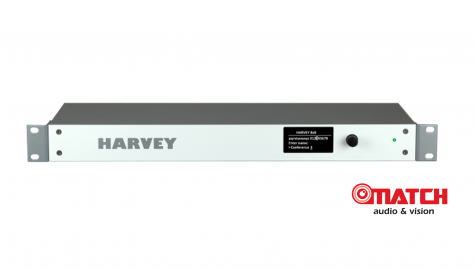 HARVEY 8X8 is a flexible audio and media control matrix and a key component for pa systems and conference systems. It is equipped with 8 analog audio inputs and outputs as well as a great number of different control interfaces and the ideal matrix for conference rooms, theatres, museums, home cinemas, educational facilities and multipurpose rooms.